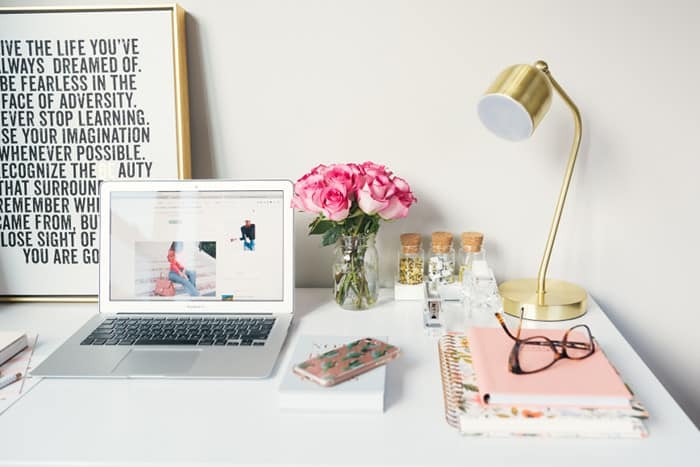 Inside: You’re a busy blogger, so make the most of your limited blogging time by adding these blogging essentials to your toolbox. This content may contain affiliate links. Everyone says to grow your blog, you need to publish more content, pin more, network more…more, more, more. But it’s not like your blog is the only thing you have to worry about. Maybe you have a day job, kids to wrangle, a never-ending mountain of laundry. Maybe all of the above. When is all this “more more more” supposed to fit in, on top of real life? You can make the most of your limited blogging time by adding a few blogging essentials to your toolbox. These are just a few of the tools I recommend to students in the Sticky Blogging™ program. These blogging essentials will help you by making you more productive and delivering more results for the time you put into your blog. Fair warning: As with any software, keep in mind that these blogging essentials may have hiccups from time to time. Many times, what sets a tool apart for me is how their customer service team handles those hiccups. And so while no tool is perfect 100 percent of the time no matter what you choose, these companies tend to have the best customer service for bloggers like you and me. SiteGround – I’ve been blogging since blogging was invented, which means I’ve used dozens of different web hosts. A bad host will try to squeeze as many sites on one server as possible, slowing everyone down. And if you have a post go viral? A bad host will shut your site down. SiteGround is different than the rest. Not only do they run their business the right way, but their customer service is excellent too. Full disclosure: I don’t currently have any sites with SiteGround because my traffic needs grew, but they’re the best host on the market for new blogs. And if you don’t love your current host, SiteGround will move your existing site for free. Sticky Blogging – This is my 4-week training program that walks you through everything you need to convert your readers to true fans, using nothing more than a regular ol’ blog post. Registration opens just 2-3 times a year, so drop me an email to be the first to know next time registration opens. Grammarly – This is an awesome spelling and grammar checker that catches typos in everything you write in your web browser, from WordPress to Facebook to Gmail. Plus, it’s completely free. Bird by Bird – One of the best books on writing. But unlike with most writing books, you’ll actually have fun reading this one. Sticky SEO – In 10 modules, this course gives you everything you need to grow your traffic from search engines like Google. Registration is open now. LeadPages – When I started using this tool, my email subscription list jumped from 3,000 readers to more than 10,000 in less than one month. Use these proven landing pages and opt-in boxes to grow your mailing list, deliver freebies to your readers, sell your own products, and more. MiloTree – If you’re looking for a mobile-friendly popup tool that won’t get your site dinged by Google, this WordPress plugin is the perfect fit. Plus, it’s easy to use and customize. Email system – Having a reliable email tool is a must for reaching your true fans. But depending on where you are in your blogging journey, your email needs will be different. ActiveCampaign – This is a powerful email system that will help you automate the process of keeping your fans engaged. It ends up being a little cheaper than the next option, and ActiveCampaign is what I currently use for my email lists. ConvertKit – Another excellent option when you’re ready to migrate from a free email tool. ConvertKit doesn’t have as many automation features as ActiveCampaign, and it works out to being more expensive than ActiveCampaign. But some bloggers prefer the ConvertKit user experience, so if you’re on the fence, you can try both out for a trial period and see which one you like best.